Dogs have been human companions for thousands of years, yet amazingly it wasn’t until the late 1970’s when America’s dog population reached a new high that pet waste laws were introduced, enforcing owners to pick up after their dog. Since then, a vast array of pet waste pick-up devices have been placed onto the market, but nothing seems to be as popular as the traditional plastic dog poop bag. And who can argue? They seem to be the most accommodating of any poop size and consistency; They’re small, compact and easy to carry around; And most importantly, they seem to have the best disposal method – toss it and forget it. As convenient as they are, they are sadly not very environmentally friendly. Sure this tiny bit of plastic might not seem like much, but when you look at how there are an estimated 80 million dogs in the United States – if each dog is walked just once a day, that’s over 21 billion little baggies used every year and sent to the landfill (not to mention the other bags that are used to pick up the poo in the backyard). 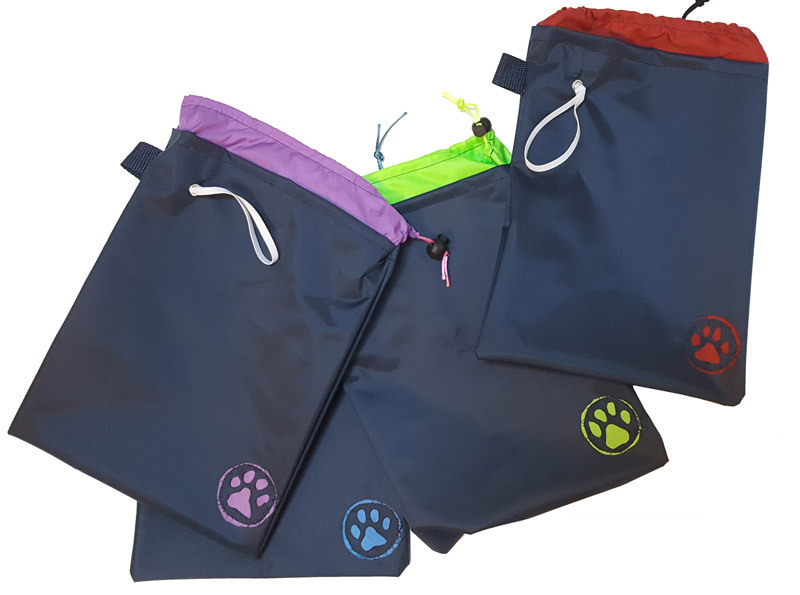 In more recent years, pet stores have been carrying new types of bags that claim to be “compostable”, “biodegradable”, or even “flushable”, but there seems to be a lack of education for the consumer on what the differences are and which one is the best and truly greenest type of bag to use when out walking your pooch. Is the label Biodegradable misleading? The answer – well yes and no. In general, the public may believe that something that is biodegradable means that once it goes to the landfill, it will completely go away. This is simply not the the case. The real truth… nothing can ever possibly biodegrade in a landfill. To understand this fact, you must first understand what biodegradable products are made of. Similar to biodiesel fuel, biodegradable packaging is plant-based. A commonly used material, Polylactic acid (PLA) is a biodegradable thermoplastic derived from renewable resources, such as corn starch, tapioca roots, and sugarcane. The idea is that since the bags are made from organic material, then much like an apple rotting on the ground, natural microorganisms will swoop in and decompose the bag back into the environment in the form of water, carbon dioxide, and biomass. Sounds good right? Here’s the problem, this biodegradation process will only happen in an oxygen-filled (aerobic) environment. 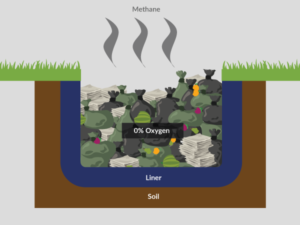 What many don’t realize is the landfill is an oxygen-free (anaerobic) environment, meaning that the layers and layers of trash that are piled up in the contained space have no room for air to pass through. If anything, any biodegradable plastics that would break apart in the landfill will actually emit methane, a greenhouse gas that is 23 times more potent than CO2. Essentially your biodegradable bag is more effective to be left sitting on the ground out in the open then being sent to the landfill. Although I don’t think society would approve of leaving poo-filled bags lying about our streets and sidewalks. The other issue with the term “biodegradable” is the lack of guidelines that are adhered to it in a scientific sense. Earlier on, many companies would simply develop these bags incorporating a certain percentage of organic material, and just estimate that they would biodegrade within a certain number of years without actually observing the lengthy process to see if it had indeed fully broken down. This manipulative method was soon given the term “greenwashing the consumer”. California quickly caught wind of this and in 2008 passed Assembly Bill 1972 requiring clear scientific evidence documenting the biodegradation process within a specific environmental condition and timeframe according to the American Society for Testing and Materials (ASTM) standard. Typically anything that lasts longer than 6 months cannot be labeled biodegradable. The bill also requires the labels on the packaging to be perfectly clear as to not imply that the bag will biodegrade or decompose in the landfill. There is a second type of biodegradable bags that use “Oxo-biodegradable” plastic where instead of using organic starches, small amounts of salts are added to conventional polyolefin plastic that helps speed up the breakdown process. There is controversy over this method as many argue that oxo-biodegradable materials do not actually biodegrade, but rather are broken up into such tiny fragments over time that they become invisible to the human eye (essentially plastic dust). Biodegradable or not, oxo-biodegradable bags also require the presence of oxygen and therefore ineffective in a landfill. 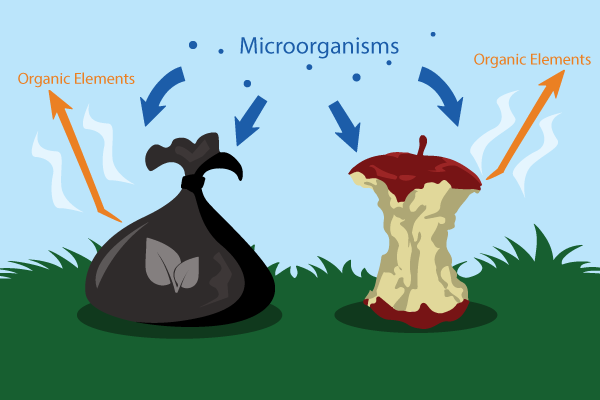 While biodegradable simply means an object is capable of being decomposed by bacteria or other living organisms, “compostable” means that while under a controlled temperature and mixed with the correct carbon to nitrogen ratio, the organic material can be broken down into a humus rich blend known as compost, which can then be used as fertilizer. What biodegradable and compostable materials have in common is that they both require an aerobic environment (a.k.a. no landfill). While composting components are stacked up in a comparable fashion to a landfill, these much smaller piles are still exposed to airflow by either being manually turned with loaders or tumblers, or by being fed perforated pipes using the Aerated Static Pile (ASP) technique. 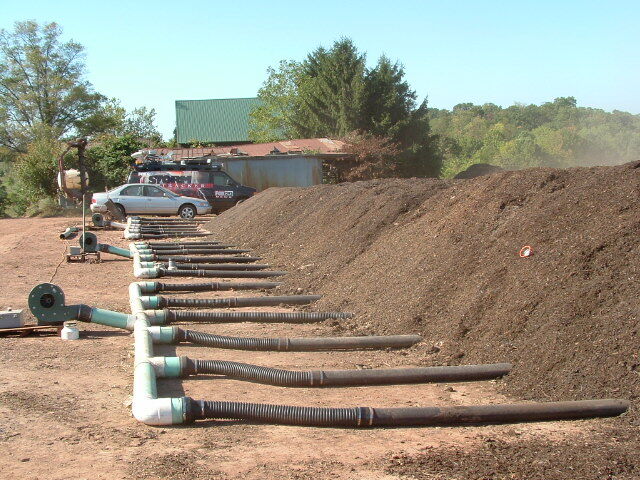 A properly composted bag should take about 12 weeks to fully degrade. Compostable bags have a bright future. Curbside composting is steadily reaching more cities alongside their trash and recycling services. Two hundred American communities offer curbside composting as of 2015 while cities like Houston and Minneapolis are passing ordinances that require their residents to use compostable bags for any green organic material that is collected from their yard. But sadly, it is still unsure if compostable bags will be the answer for dog waste. 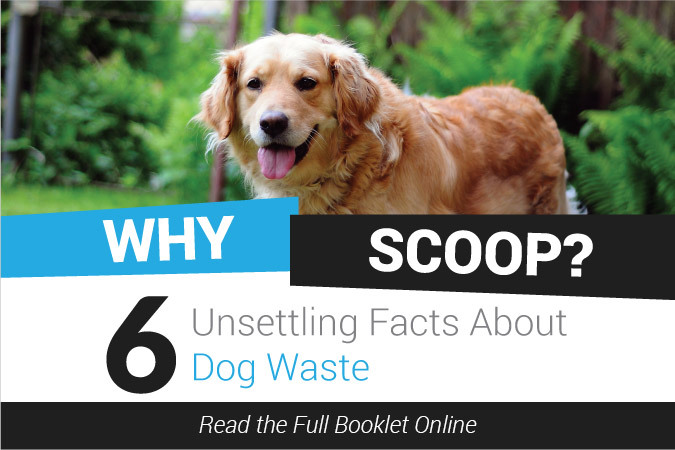 Most composting facilities will not handle dog waste in order to avoid contamination. If by chance not all parasites are killed off during the process, any fertilizer that is used on edible plants can negatively affect the health of the eventual consumer. 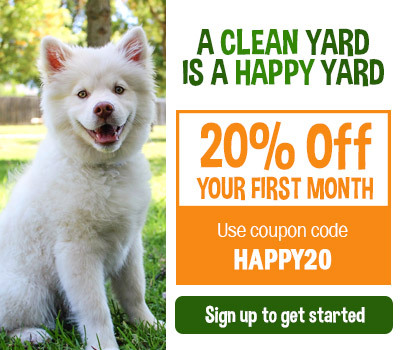 One may want to try composting their dog waste in their own backyard. 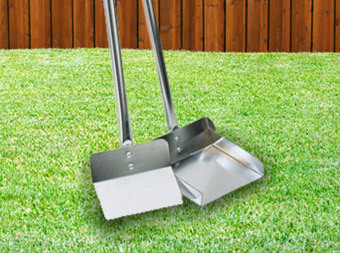 A noble idea, but unfortunately your compost pile will need to reach a certain temperature (approximately 160 degrees fahrenheit) for an extended amount of time in order to safely kill off the pathogens in the dog waste. And with the small amounts that the typical dog owning household produces, the pile will not be large enough to get that hot. It is important to know that if you do find a way to effectively dispose of biodegradable or compostable dog poop bags, make sure to research the bag provider first and verify that the product has officially met the testing standards of ASTM D6400 or D6868. 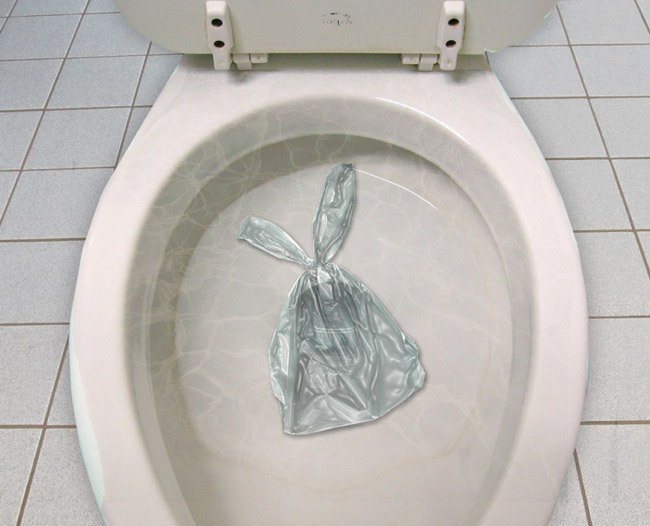 Wouldn’t it be incredible if simply flushing all biodegradable material down the toilet would solve all of our environmental woes? Well the release of “flushable” adult and baby wipes a few years back quickly crushed that dream. Although those wipes are heavily absorbent in water, the truth is they will not break down fast enough to avoid clogging the pipes as proven by the $18 million bill New York City had to pay to fix all of issues the wipes had caused.. Many people often figure that if the product successfully flushes down the toilet, it works, but they fail to consider the remaining hundreds of miles of sewage pipes that the “flushable” substance has to travel through. And if you’re on septic, you might not be aware of any problem until it’s too late. Think about it – paper towels are seen as too thick of a material to be flushed, so anything slighter thicker and nonabsorbent than standard toilet paper can be a major problem. Even toilet paper itself has been known to cause major blockages when flushed in large quantities. Flushable dog poop bags are still a rather new product on the market but there is a fear that they will produce the same outcome as the wipes. Often made of Polyvinyl Alcohol (PVA), several products have been tested in a separate container of water, and in many instances, the bags become softer within a few hours but never fully disintegrate. Besides the bag issue, it is also worthwhile to consider the potential negative effects on our environment from the flushing of the dog waste itself. Dog waste can contain harmful bacteria, viruses, and parasites – and even though all those should be eradicated once going through the sewage treatment system, this is not always the case. The U.S. Environmental Protection Agency (EPA) estimates that at least 23,000 to 75,000 Sanitary sewer overflow (SSO) events occur in the United States each year due to heavy rainfalls, electrical malfunctions, or broken sewer lines. When this occurs, untreated sewage is forced to be discharged back into the environment prior to being cleaned leading to several billion gallons of dirty water being dispersed annually. If pet waste is entered into our streams or bays,it releases a high amounts of ammonia whilst decreasing the amount of oxygen in which aquatic life requires to survive. It can also contaminate our drinking water, and add to the thousands of gastrointestinal illness cases that are reported each year. Despite this risk, the Environmental Protection Agency actually does promote the flushing of dog waste (not necessarily the bags) as the best method currently available to the disposal of pet waste. But before you start flushing away, you might want to call your local sewage treatment plant first. The average dog dispenses 275 lbs of waste per year. To put that in perspective, Pet Poo Skiddoo’s hometown Asheville, NC with a mere 87,000 people, generates approximately 6 million lbs of dog poop per year. 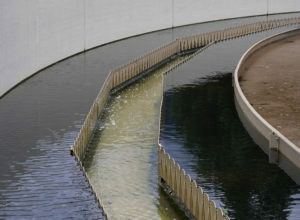 There are still many sewage treatment plants that use an outdated infrastructure and there’s a good chance that the sudden increase in waste would almost certainly cause a drastic increase in the number of SSO’s leading to an increase of pollution in the town’s water. Our suggestion is to call your sewer treatment center and hear their thoughts on the matter. My guess is that either way, they will not be too fond of flushing a bag along with it, no matter how biodegradable and water soluble the company claims. How bad are conventional Plastic bags? 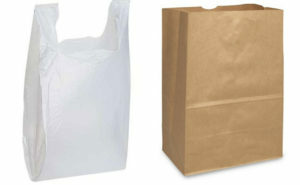 Plastic bags have been used by consumers worldwide since the 1960s. 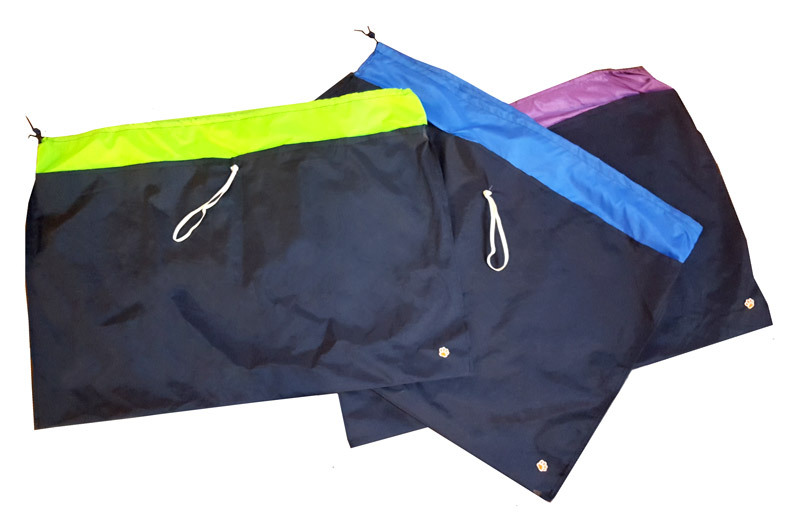 The lightweight single-use shopping bag is made up of polyethylene, derived from petroleum, a nonrenewable resource. Roughly 11 barrels of oil is used for each ton of plastic bags produced. Doesn’t sound so eco-friendly, does it? It is estimated that between 500 billion and 1 trillion plastic bags are used each year worldwide – and like most plastic products that are heavily mass produced, it eventually leads to a major environmental problem. 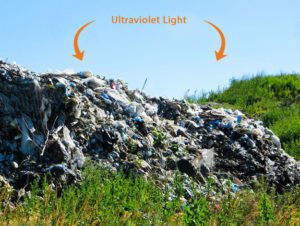 Plastic bags break down through a process called photodegradation in which the chemical makeup decomposes when exposed to light – similar to how an old painting begins to fade when it oxidizes. 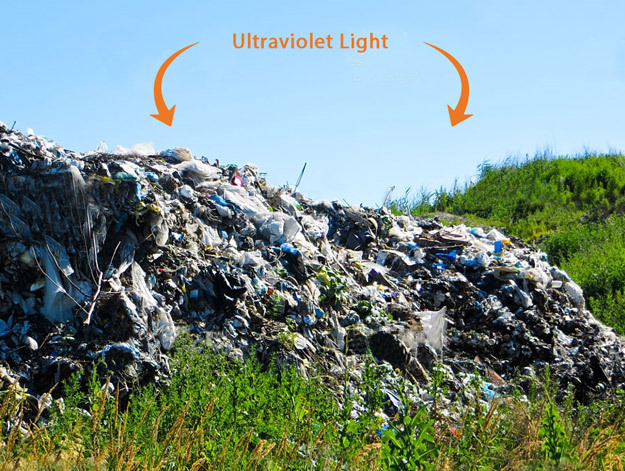 The photodegradation process of a single plastic bag is estimated to take between 500 and 1,000 years (although no actual 1,000 year study has been performed since plastic bags have only been around for less than 60 years). During this time, the plastic breaks down into smaller, more toxic petro-polymers, which can eventually contaminate soils and waterways if not contained within a landfill – needless to say, conventional plastic does not fall under the category of being biodegradable. There is certainly no question that the issue of petroleum-based plastics needs to be resolved, however there is some positive information that can be gathered from them. Despite popular belief, the production of plastic bags actually takes less energy than same size paper bags – a staggering 40% less. While both paper and plastic bags can be recycled, paper uses a striking 91% more energy than plastic to do so. Paper also creates 50-70% more pollution, and weighs 10 times more than your standard plastic bag. Of course we were not implying that you were using a paper bag to pick up your dog’s doo. Coming back to the recycling aspect, it is important to note that while conventional plastic can be recycled, biodegradable and compostable bags cannot. Plastic bags have a similar, almost identical makeup compared to other plastic containers and should theoretically be able to be recycled in the same fashion. You may notice that your curbside recycling program will not accept plastic bags – this is not due to the bag’s chemical composition, but rather its thin and rather malleable properties. Most modern recycling equipment is designed for rigid plastics that can be crunched up, but plastic bags can easily bypass the pulverizing stage and make its way to clogging up the machine’s wheels and belts. Recycling plastic bags is starting to become a large industry. Many grocery stores are now featuring drop-off points for plastic bag recycling. And although several states are seeking to prohibit or heavily regulate plastic single-use carryout bags for larger chains, there is also a increasing effort to support companies that can produce a thicker, multi-use recycled plastic bag. But whether at a store or if by chance your recycling service does accept plastic bags, you cannot include your dog poop in it! It goes without saying that dog poop cannot be recycled. Furthermore recycled bags must be clean and dry in order to be recycled, and who wants to wash out a plastic bag after picking up their dog’s poo? There are companies that offer dog poop bags with a certain percentage of recycled material, but what can be done with the bag after it has been used is a different story. 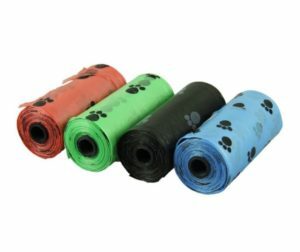 So after reviewing all of the different types of dog poop bags available, what’s the most environmentally friendly option? Well, as of right now…. none of them. Not to say that they don’t all have their place, but it isn’t until cities provide the much needed service that diverts dog poop away from the landfill (whether through composting, a sewage treatment service, or even using biogas technology) there’s just not a way for dog owners to be as green as they would like to be.